This may just be the residential land opportunity you have been looking for; a coveted corner lot in The Village of White Cliffs. 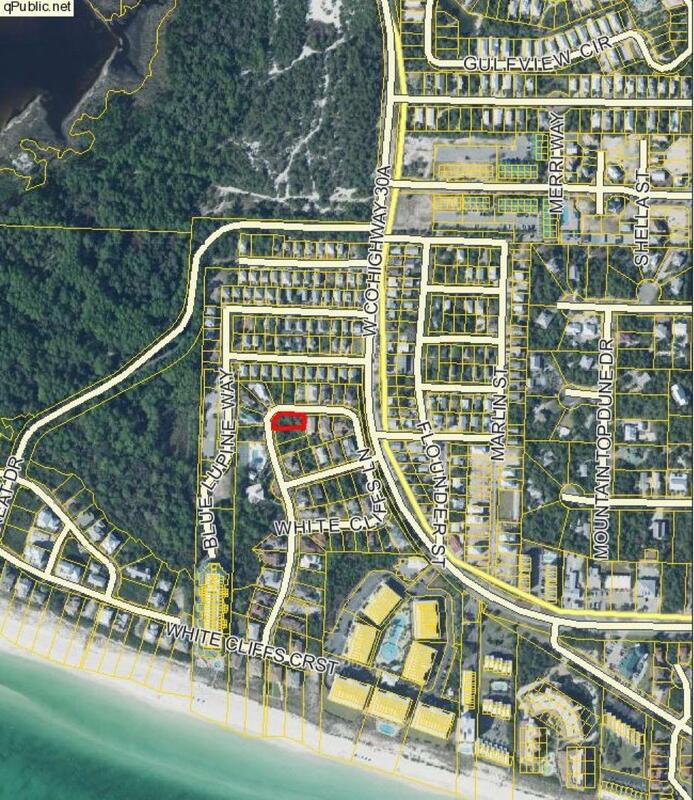 This level and very buildable lot is South of 30-A with deeded access to the Beach and Gulf. Located in the heart of Blue Mountain this private and gated community offers Owners Club Room, Pool and Tennis. The location of White Cliffs is ideal for convenience to grocery stores, restaurants, and beach wear shopping. A copy of the Lot Survey and The Village of White Cliffs Plat are provided in the documents section of this listing. For further details click on the more tab.